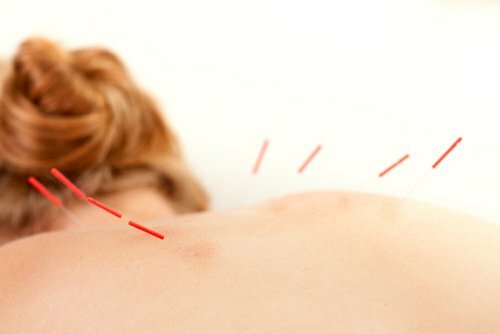 Benefits Of Acupuncture: Fact Or Myth? Acupuncture is a form of ancient and traditional Chinese medicine. The proponents of this form of medicine believed that the well-being of individuals depended on the flow of energy/life through pathways called “meridians.” The practice involves the introduction of thin, sharp, un-medicated needles into the body at specific points in the meridians to restore balance of energy flow and thus, health. Acupuncture is a form of ancient and traditional Chinese medicine. The proponents of this form of medicine believed that the well-being of individuals depended on the flow of energy/life through pathways called “meridians.” The practice involves the introduction of thin, sharp, un-medicated needles into the body at specific points in the meridians to restore the balance of energy flow and thus, health. Currently, acupuncture is practiced as an alternative and complementary medicine in the Western world. Many practitioners of acupuncture believe that it relieves pain, corrects mood disorders, and helps with digestive issues. Pain relief: Acupuncture has been found effective against chronic low back pain, neck pain, shoulder pain, pain from osteoarthritis, fibromyalgia, etc. One study showed that acupuncture triggers a local increase in adenosine in humans; adenosine is known to reduce sensitivity to painful stimuli. It is also believed that the inserted needles stimulate nerves and tissue, which in turn enhance the natural pain-killing mechanisms in the body. Insomnia: Several studies suggest that acupuncture helps improve sleep in people, particularly elders, suffering from various sleep disorders. Issues with the skin: A recent review looking into various clinical trials has concluded that acupuncture could improve outcome measures in the treatment of skin conditions like dermatitis, chloasma, pruritus, urticaria, hyperhidrosis, and facial elasticity. Digestive problems: Individuals suffering from irritable bowel syndrome (IBS) are reported to have found relief from the condition following acupuncture therapy. Migraines: Studies have shown mixed results with migraine relief with acupuncture. However, a review of treatment methods revealed differences in the protocols. It has been suggested that 20 needles per session of 30 minutes, two sessions per week for ten weeks would be optimal for providing relief from migraines. Mood disorders: A review of published work by Sniezek and Siddiqui on clinical trials in 2013 states that there is a high level of evidence to show that acupuncture was effective in treating anxiety and depression in women. Menstrual and labor pain: As with other types of pain, acupuncture has been reported to help with menstrual pain/cramps. Additionally, acupuncture, when used at the time of labor and delivery, was found to reduce the need for pharmacological and invasive methods. The technique, therefore, has been suggested as a useful supplement to pain relief methods being used currently. Additionally, acupuncture is not advised for individuals suffering from bleeding disorders or those who have pacemakers. Acupuncture is also known to induce labor and, therefore, not advisable for pregnant women, as they could go into pre-term labor. If someone wishes to start acupuncture for any ailment, it is better to be cognizant of all the risks involved beforehand. One’s physician needs to be informed of all alternative and complementary medicine therapies being followed/undertaken. This will allow the physician to give informed advice based on facts. Only trained, licensed practitioners should perform acupuncture therapy. Most states in the US require the practitioner to pass the National Certification Commission for Acupuncture and Oriental Medicine. After talking with a physician, one should look into an acupuncturist’s credentials carefully before submitting to this ancient form of medicine. Takano, T., Chen, X., Luo, F., Fujita, T., Ren, Z., Goldman, N., . . . Nedergaard, M. (2012). Traditional Acupuncture Triggers a Local Increase in Adenosine in Human Subjects. The Journal of Pain, 13(12), 1215-1223. Brinkhaus, B., Witt, C., Jena, S., Linde, K., Streng, A., Wagenpfeil, S., . . . Willich, S. (2006). Acupuncture in Patients With Chronic Low Back Pain: A Randomized Controlled Trial. Archives of Internal Medicine, 166(4), 450-457. Vickers, A., Cronin, A., Maschino, A., Lewith, G., Macpherson, H., Foster, N., . . . Linde, K. (2012). Acupuncture for Chronic Pain: Individual patient data meta-analysis. Archives of Internal Medicine, 172(19), 1444-1453. Hoyos, J., Martín, M., Elena Bassas Y Baena De Leon, Lopez, M., López, T., Morilla, F., & Moreno, M. (2004). Randomised trial of long term effect of acupuncture for shoulder pain. Pain, 112(3), 289-298. Cao, H., Pan, X., Li, H., & Liu, J. (2009). Acupuncture for Treatment of Insomnia: A Systematic Review of Randomized Controlled Trials. The Journal of Alternative and Complementary Medicine, 15(11), 1171-1186. Chao, G. (2014). Effectiveness of acupuncture to treat irritable bowel syndrome: A meta-analysis. World Journal of Gastroenterology, 20(7), 1871-1877. Zheng, H., Chen, M., Wu, X., Li, Y., & Liang, F. (2010). Manage Migraine with Acupuncture: A Review of Acupuncture Protocols in Randomized Controlled Trials. The American Journal of Chinese Medicine, 38(4), 639-650. Sniezek, D., & Siddiqui, I. (2013). Acupuncture for Treating Anxiety and Depression in Women: A Clinical Systematic Review. Medical Acupuncture, 25(3), 164-172. Borup, L., Wurlitzer, W., Hedegaard, M., Kesmodel, U., & Hvidman, L. (2009). Acupuncture as Pain Relief During Delivery: A Randomized Controlled Trial. Birth, 36(1), 5-12. Ernst, E. (n.d.). The risks of acupuncture. The International Journal of Risk and Safety in Medicine, 6(3), 179-186. Ernst, E., Lee, M., & Choi, T. (2011). Acupuncture: Does it alleviate pain and are there serious risks? A review of reviews. Pain, 152(4), 755-764.